We are a leading Manufacturer of rubber wall protector guard, wall protection guard, single yellow strip wall guard, rubber wall guards protection, round pillar guard and wall safety guard from Mumbai, India. We are one of the leading manufacturers Of Rubber Wall Protector Guard. Being one of the reputed organizations in the market, we are engaged in providing Rubber Wall Protector Guard. Prominent & Leading Manufacturer from Mumbai, we offer epdm rubber wall guard, pillar wall guard, wall guard and rubber Wall Protection Guard. We are highly proficient manufacturer, supplier and exporter of Rubber Wall Protected Corner Guards in Mira Bhayandar, Maharashtra, India. We offer Wall Protection Guard as per client requirement. They develop our range using unique quality natural / EPDM rubber. Our range is very easy to use and install. 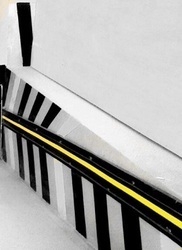 Our range is ideal to be used in light, medium and heavy traffic areas. Our products have unique properties to resist weather. 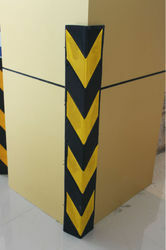 We are offering best grade Single Yellow Strip Wall Guard150 mm x 55 mm x 1 m. Manufactured by making use of the premium quality high impact energy absorption resilient rigid rubber for impact protection, Before dispatching the provided guards for the packaging, our professionals check these so as to ensure their flawlessness. 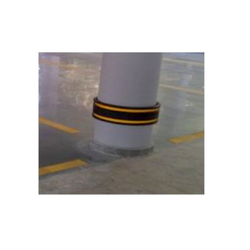 Round Pillar Guard for parking safety in malls, apartments , underground parking , sharp turns. it is available wil 4 highly visible reflective tapes so that driver can easily manage to see the pillars and corners while reversing the vehicles . 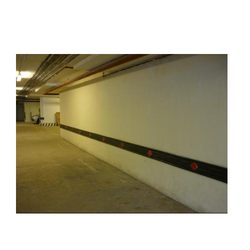 We are engaged in presenting to the industry a top class range of Wall safety Guard. We offer these at market leading rates. 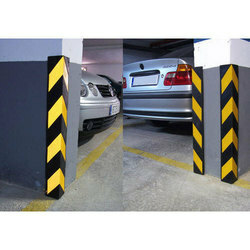 We are engaged in presenting to the industry a top class range of Parking safety Guard. We offer these at market leading rates. 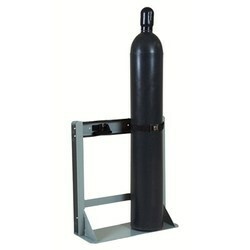 We are engaged in presenting to the industry a top class range of Cylinder wall Safety Guards. We offer these at market leading rates.